Sometime in the near future, Nubia will be joining the list of "Things Gandhi Can Nuke", as Firaxis has announced it as the next playable civ in Civilization 6. Soon enough, Gandhi's quest will be complete, and he'll be able to nuke every kingdom/nation/afterschool club that has ever existed. Lead by Amanitore, the Nubian kingdom's strategy will likely focus around its bonuses to early ranged units and city districts. In particular, the combination of the Pitati Archer (their unique unit) and Ta-Seti (their unique ability) seems like it will inevitably lead to a horde of highly skilled, grizzled archers scouring the map in the game's first few centuries. 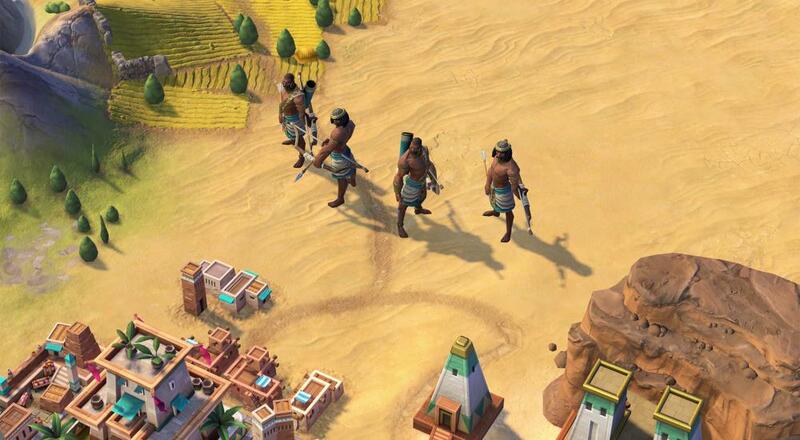 Likewise, the Nubian Pyramid (their unique improvement) and Kandake Of Meroë (Amanitore's unique ability) will allow players to capitalize on early productivity and hopefully create a healthy lead going into the later eras. This seems like it could be especially useful in online co-op when combined with allied nations with a late-game focus. Firaxis hasn't established a firm date for when Nubia will be available, but based on prior evidence, it shouldn't be too long past the announcement. Page created in 0.4280 seconds.